Our CPA accredited graduate program in clinical psychology is based on the scientist-practitioner model, providing a balanced emphasis on science and practice. We foster the development of informed and ethical clinical practice by providing opportunities to gain competency in a variety of assessment and therapeutic approaches, theoretical perspectives, and research methods. Students’ understanding and skills in these areas are further deepened through specialized practicum opportunities. In addition to our core program, students also gain specialized training through either our neuropsychology or lifespan tracks (described under the “Program Information” tab). These two tracks are a unique strength of our clinical psychology program that allows students to customize their training to their specific career goals. Although the tracks are distinct, opportunities exist to engage with material outside one’s track (through courses, workshops, and research collaborations) if it serves a student’s individualized goals. Our comprehensive training ensures that graduates are well-prepared to excel in a variety of settings – both academic and clinical – as well as to work with a wide range of individuals, families, communities, and organizations. In fact, our training program is regularly counted amongst the best in North America. Our faculty members are involved in research spanning the entire lifespan and encompassing diverse topics such as neuropsychology of executive functions, psychological functioning following family transitions, immigrant adaptation and family relationships, traumatic brain injury, fetal alcohol spectrum disorders, substance abuse, age-associated cognitive disorders, and interpersonal violence, to name just a few. More information on our program, research, and practicum opportunities is provided below. Detailed information about our program can be found in the tabs below. An overview of our program can be found in this brochure. The Graduate Program in Clinical Psychology has been fully accredited since 1997. In October 2015, we were awarded full re-accreditation for 7 years by CPA, the longest accreditation term possible. APA ceased accrediting programs located outside the U.S. at the end of 2015, which closely coincided with the end of our program’s APA accreditation term on December 31, 2014. APA and CPA have signed the “First Street Accord” which is a mutual recognition agreement of the equivalence of accreditation between APA and CPA (http://www.apa.org/ed/accreditation/first-street-accord.aspx). Our program will continue to maintain CPA accreditation. Our next site visit will be due in 2021-2022. As a fully accredited Graduate Program in Clinical Psychology, we adhere to all standards, guidelines and policies of CPA. Our program prepares graduate students for clinical practice, academic, and/or research careers. Our goal is to train scientist-practitioner psychologists who contribute to the scientific knowledge base in clinical psychology and who offer evidence-based services to individuals, families, and groups. All of our students receive core training in the social, developmental, biological, and cognitive bases of human behaviour, psychological assessment, diagnosis, intervention and prevention, psychopathology, ethics and professional issues, cultural diversity, research methods and evaluation, supervision, and consultation. In addition, all of our students become attuned to the unique strengths and conflicts that may arise from specific cultural contexts, including cultural beliefs and values, sexual orientation, gender, socioeconomic status, and level of ability. Students combine their training in core areas of Clinical Psychology with an emphasis in (1) lifespan psychology or (2) neuropsychology. Further, we support students’ individual career objectives through careful guidance in the selection of specialty courses, additional learning opportunities, and placements in relevant practice sites. The Clinical Lifespan track emphasizes the social, cognitive, and emotional development of individuals from childhood through late adulthood. Clinical psychology students in the Lifespan track received specialized training in the conceptualization of multiple and intersecting influences on mental health, including normative and pathological developmental pathways and age-specific risk and protective factors. Students in this track develop expertise in using this knowledge to inform developmentally sensitive assessment and intervention techniques and recommendations that outline trajectories of potential risks yet also point to specific developmental opportunities for positive growth. Current clinically-related research topics include (a) the influence of childhood trauma on later adjustment, health, and coping; (b) cultural identity formation in adolescence; (c) couples’ relationship functioning at the transition to parenthood; (d) addiction and substance misuse; (e) separation, divorce, remarriage; (f) acculturation dynamics and parent-child relationships within immigrant families, (h) cognitive and affective changes in later life; and (i) challenges of care giving across the lifespan. The Clinical Neuropsychology track focuses on brain organization and the impact of brain dysfunction on various aspects of cognitive, behavioural, and emotional functioning. Clinical Neuropsychology students are provided with advanced training in the clinical neuropsychological assessment, management, and rehabilitation of cognitive, memory, sensorimotor, attention, executive, social, emotional functioning for clients with neurological and/or neuropsychiatric disorders. We adhere to the Houston Conference Guidelines for clinical training in Neuropsychology, such that our students qualify for accredited internships and post-docs in Clinical Neuropsychology if they wish to pursue further certification with the American boards in Neuropsychology later in their careers. Clinical Neuropsychologists are noted for their ability to integrate medical, psychiatric, and occupational aspects of rehabilitation into effective and focused treatment planning. Current clinically-related research topics in the department include (a) dementia; (b) stroke; (c) sports-related concussions; (d) traumatic brain injury; (e) cognitive rehabilitation; (f) effects of alcohol and other substances on brain development and functioning, including FASD; (g) assessment of cognitive competency for everyday functioning and decision-making; (h) cognitive and affective changes in later life and their neuropsychological underpinnings; and (i) the impact of neurologic disorders on affected individuals, spouses and other family members. Our Graduate Program in Clinical Psychology is designed to be completed in 7 years. This includes a 6 year curriculum (with 2 years at the M.Sc. level and 4 years at the Ph.D. level) and a year-long full-time internship/residency at a CPA- or APA-accredited site. 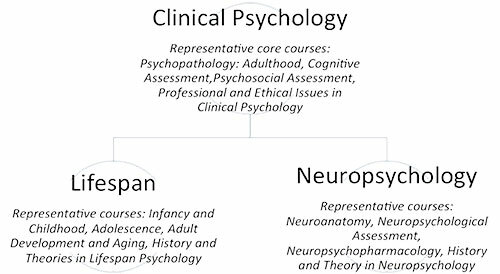 Our program’s specialization in either Clinical Neuropsychology or Clinical Lifespan Psychology typically adds an additional 1-year of training compared to graduate programs in clinical psychology without speciality areas. We also strive to accommodate family factors, such as parental leaves, caregiving of ill family members, and economic and health issues. We recognize the need for students to graduate in a timely manner and hence streamlined our program to shorten the duration while still maintaining its quality. In recent years, several students have been able to complete the program in 6 years, including internship/residency, rather than 7 years. By building on the wide variety of backgrounds and perspectives offered by our students and faculty, the graduate program in Clinical Psychology facilitates a greater understanding of clients’ diverse beliefs and sociocultural influences. Graduate school can be difficult. Not only are students transitioning in their academic/professional careers, but many are also transitioning geographically and socially. In light of this, we pride ourselves on fostering a supportive and understanding atmosphere. Many of our students state that the amount of faculty and peer support, including our graduate student buddy program, is high and that this is a major contributor to their positive adjustment to the rigours of graduate studies. Further, we are proud to report that all of our recent graduates have moved on to post-doctoral positions, academic appointments, or clinical positions. Many of our graduates state that our program’s high standard of training prepared them well for the often unpredictable demands of clinical practice and academic work. For more student insights or enquiries, please feel free to contact our current graduate students. See what our students have to say about the clinical psychology program at the University of Victoria. Watch them all here. Fanie (Lifespan emphasis): Coming here, I met a great diversity of people with very different perspectives… students and faculty have been very supportive and I think it’s a very nice environment to work with. John (Neuropsychology emphasis): The consistency with which [UVic’s clinical program] places among the top universities in North America for clinical outcomes was a strong factor…. Also, the neuropsychology stream is very unique in North America for the amount of training that you receive. Jordan (Neuropsychology emphasis): Nowhere else will you find the same type of education in [neuropsychology], and nowhere else will you find the same calibre of education [in neuropsychology]… I knew I was making a good choice when I came here. Lisa (Lifespan emphasis): [The program] really feels like a community where everyone is genuinely invested in how everyone else will do, and how they will progress and succeed in the program. Melanie (Neuropsychology emphasis): I really enjoy the fact that here we can pursue both research and practice in clinical psychology as well as clinical neuropsychology… we really get a good foundation in knowledge as well as clinical practice in both areas. Shelly (Neuropsychology emphasis): I chose [the neuropsychology] program here, at the University of Victoria, because it gives you the unique opportunity to specialize right away. Our clinical faculty members conduct exciting research in a multitude of areas, including mindfulness meditation, family dynamics, executive functioning, and aging. All clinical program faculty members are Registered Psychologists in British Columbia (or are in the process of attaining Registered status) and have a range of practical experience in the field. Clinical students work closely with a faculty supervisor who best matches their research interests, clinical goals, and/or methodological approaches. Faculty supervisors play a pivotal role in providing mentorship and opportunities for expansion. Applicants who are admitted to the Graduate Program in Clinical Psychology with a non-clinical research supervisor are assigned a Clinical Training Advisor (CTA) from among the clinical psychology program faculty. This person is available to guide the student in matters pertaining to clinical psychology program requirements. 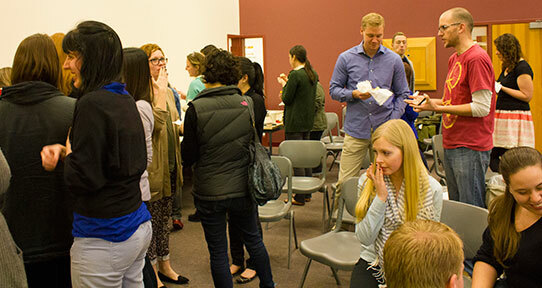 The Psychology Clinic at the University of Victoria has the dual purpose of serving the community and training clinical psychology graduate students. Services are provided by students in the M.Sc. and Ph.D. clinical psychology programs and are supervised by Registered Clinical Psychologists. For more information about the services provided please visit the Psychology Clinic page. As part of clinical training, graduate students participate in several practica where they provide professional psychological services to the community, including assessments and therapeutic interventions for children, adults, couples and families. Every fall, we publish a newsletter, PSYCH-LINKS, summarizing our various practicum placement opportunities. Click on a link to learn more about practicum training in our program. (f) match with selected individual faculty (please check with complementary faculty before listing them as possible graduate supervisors to ensure their interest and availability to supervise a clinical psychology graduate student). Although we rely upon traditional criteria in our evaluation of applicants, we also consider applicants’ special aptitudes and abilities, and value the contribution of unique experiences to the program. Trainee selection is competitive. Five to eight students are admitted each year from more than 140 applicants. Admitted students typically have a Psychology Honours degree or a Psychology Major with strong research experience and at least some exposure to clinical work or clinical populations. The majority of students enter at the Masters level, although we occasionally admit doctoral level applicants. Advancement from the Masters to the Ph.D. program is not competitive, but is dependent on demonstrating appropriate academic, research, and clinical progress. In addition to substantial coursework, successful completion of the program requires 1,200 hours of supervised practicum experience, successful completion of the candidacy examinations, successful completion of a master's thesis and doctoral dissertation, and a year-long, full-term clinical internship or residency. Psychology undergraduate courses in areas such as Adult and/or Children's Mental Health/Psychopathology, Clinical Neuropsychology, and Introduction to Clinical Psychology may be helpful to you in deciding whether graduate training in clinical psychology is really for you and also to prepare you for more in-depth graduate training in those areas. Seeking out opportunities to work with others through applied coursework, volunteer positions, or employment experiences may also be valuable in determining if a career in clinical psychology is a good match to your skills and interests. These clinical psychology focused undergraduate courses, however, must be balanced with a broad background in the scientific foundations of general psychology. Most APA- and CPA-accredited graduate programs in Clinical Psychology require graduate coursework -- or sometimes allow graduate equivalency based on excellent grades in multiple upper level undergraduate courses — in the areas of biological bases of behaviour, cognitive bases of behavior, social bases of behavior, and individual differences. Students in our program gained the required breadth regarding biological bases and individual differences by completing our graduate coursework. The majority of our students enter our program without prior graduate training and complete both a master’s and doctoral degree in our program. Occasionally, however, we admit students who have already completed a master’s degree in a related field (e.g., neuroscience). In these cases, students typically need to complete all of our clinically-oriented master’s course work before beginning doctoral studies. Typically they do not have to repeat a master’s thesis. Although there is variability in how admission is handled at the administrative level, the more common path is for a student to be admitted into the master’s program, complete master’s level coursework (over 12-18 months), and then be accelerated into the doctoral program without earning a second master’s degree. For example, applicants who have already have a Masters degree in Psychology or a closely-related field (e.g., Neuroscience) are required to apply to the Clinical Masters program and complete all the course work from the Masters portion of the program. Your thesis would be reviewed, but assuming that it is an empirical study you would get credit for that and not have to do another one. Once the course work is completed and depending on a variety of factors, 12 to 18 months later you would be accelerated to the doctoral program without earning a master’s degree. This strategy most accurately reflects what the student is actually doing and delays the start of doctoral program deadlines until the student is ready for that phase of their training. If you are applying to our program with a master's degree, you may wish to consult with a faculty member in the program prior to submitting your application. Most often, the best option will be to apply to the master's program rather than the doctoral program. Completion of the Clinical Psychology program qualifies graduates for licensed practice across Canada and the USA (although licensure is granted on a province-by-province, or state-by-state basis). Outside of Canada and the U.S., the Clinical Psychology degree at the University of Victoria is respected due to the high standards of Canadian programs. Further, our students are well-equipped to adapt to a number of cultural contexts, making them ideal for international placements. Students who wish to work outside of Canadian and the U.S. are advised to contact their country of interest to ensure that equivalency requirements will be met. International equivalencies are offered in most countries, but keep in mind that the process is often time-consuming and may take several months. For information on studying/working abroad in Canada, please visit the Psychology Department admissions page. I would like to be accepted into the Clinical psychology program at UVic. How do I maximize my chances of getting into the program? Does already having a Masters degree help? The clinical psychology program is designed to begin at the Masters level and continue onto the PhD. Therefore, preference is given to students entering at the Masters level. Students complete a full year internship the last year of the program, and the entire program is approximately 7 years in length. The clinical program is highly competitive as we receive approximately 150 applications each year and only admit 5 to 8 students. Our program uses a centralized review process in our admissions. We encourage applicants to identify clinical faculty members with whom they share research interests as potential Supervisors. In general, Supervisors are from within the clinical program. However, a clinical faculty member can co-supervise a student who chooses to work with a non-clinical Supervisor. Please note that faculty members do not admit students to the program directly. We shortlist approximately 25 students for interview and make admission offers from there. Applicants typically have specialized in psychology during their undergraduate degree. An Honours degree is not required but experience with research factors strongly into the selection process. Applicants who have already have a Masters degree in Psychology or a closely-related field (e.g., Neuroscience) are required to apply to the Clinical Masters program and complete all the course work from the Masters portion of the program. Your thesis would be reviewed, but assuming that it is an empirical study, you would not have to complete another one. Once the course work is completed and depending on a variety of factors, 12 to 18 months later you would be accelerated to the doctoral program without earning a master’s degree. Please review the information on our website: https://www.uvic.ca/socialsciences/psychology/graduate/index.php. If you have specific questions or need further information after you have reviewed this information, contact the graduate secretary in the Department of Psychology, Karen Kienapple (psychgrd@uvic.ca). I applied to the Clinical Psychology program last year but did not get in. Should I apply to another area of psychology (e.g., Lifespan Development) now, and transfer into Clinical later? No. Although there is some overlap between the clinical program and graduate programs in other areas, they are distinct areas of study. Admission into any one program cannot be transferred to another. Whether or not you are enrolled in another graduate program in Psychology at UVic, you would be required to go through the application process for Clinical Psychology in the same way as someone from outside of UVic. Can international students apply to the Clinical Psychology Program at UVic? Yes! Our program is proud to attract strong applications from students from across the globe. There are a few important things to consider. First, our program uses a centralized review process in our admissions. Faculty members do not admit students to the program directly. Second, licensing and registration requirements for Clinical Psychologists vary by state and country. It is important to understand the professional standards in the jurisdiction in which you ultimately intend to practice, and to ensure our program is likely to meet these requirements. Our program is currently accredited by the Canadian Psychological Association. Third, non-Canadian students will be required to receive a Study Permit or permanent residency status to study at UVic. Fourth, at the time of admission, some funding may be available through the University of Victoria to support international graduate students for one or two years. However, this funding is not guaranteed and non-residents may encounter restrictions when applying to funding bodies external to the University. Thus, funding is often a particularly challenging area for international students. Can I apply to the Clinical Psychology Programme if my undergraduate degree is not in Psychology? Typically students admitted have a Psychology Honours degree or a Psychology Major with strong research experience and at least some exposure to clinical work or clinical populations. A broad scientific foundation in general psychology is fundamental for graduate training in Clinical Psychology. Undergraduate psychology courses such as Adult and/or Child Mental Health/Psychopathology, Clinical Neuropsychology, and Introduction to Clinical Psychology may help you decide if graduate training in clinical psychology is really for you and to prepare you for more in-depth graduate training in those areas. Seeking out opportunities to work with others through applied coursework, volunteer positions, or employment experiences may also be valuable in determining if a career in clinical psychology is a good match to your skills and interests. These clinical psychology-focused undergraduate courses, however, must be balanced with a broad background in the scientific foundations of general psychology and the biological, cognitive, and social bases of behaviour. And undergraduate degree with a specialization in psychology is the easiest way to gain this breadth of exposure to the discipline. However, on occasion, applicants who have majored in closely-related areas such as neuroscience or education have been successful. Note that students who have not specialized in psychology generally have to take a extra courses at the master’s level to gain the required breadth. How important are the undergraduate GPA and GRE scores for getting into the Clinical Psychology Program? Grade-point averages (GPAs) and Graduate Record Examination (GRE) scores are considered when applications are being reviewed for admission. Faculty members have limited information on which to base their decisions, so these indicators of potential success play an important role. Our program uses a centralized review process in our admissions. Although we encourage applicants to identify faculty members as potential supervisors, faculty members do not admit students to the program directly. The Admissions Committee reviews applications based on these traditional criteria (i.e., GPA and GREs) as well as the applicant’s background, interests, research and volunteer experience; personal statement of field of interest; and match with selected individual faculty. The clinical program is highly competitive as we receive approximately 150 applications each year and only admit 5 to 8 students. Over the past 5 years, the average GPA for admitted students was 8.14 (out of 9), with an average Verbal GRE scores above 80%, average Quantitative GRE scores above 65%, and average Analytic Writing scores above 4.5. See average GPA and GREs for past seven years on our webpage https://www.uvic.ca/socialsciences/psychology/graduate/clinical-psychology/index.php under on the Public Disclosure Tables. This table shows general descriptors of the classes enrolled and are not standards used to select students for admission. Each year we shortlist approximately 25 students for interview and make admission offers from there. Do I need to have clinical experience to be admitted to the Clinical Psychology Training program? Experience with clinical populations is not required, but does factor into the selection process. Having worked with people in a clinical or educational setting can provide many insights about yourself and whether or not you would enjoy a career working with closely with people. The more opportunities you have to ‘try on’ the profession before entering, the better informed you will be about the demands of the work and the range of opportunities a career in clinical psychology can bring. For the convenience of our current students, the most recent versions of relevant practicum forms are linked here.